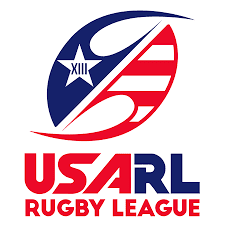 Tenth week of American rugby league’s National Premiership saw teams make and miss playoff spots, tries, drama and even a rare high scoring draw, five matches and ten teams played with overall league league leaders, the Brooklyn Kings with a bye for the weekend . We’ll start the final week of matches in the Northern Conference, as three matches that were played. The Boston Thirteens and Northern Virginia Eagles squared off in a crucial battle with playoff implications, oddly after 80 minutes and ten tries scored, the match between the two ended in a 30-all draw and confusingly knocking out Northern Virginia Eagles from finals and sending Boston through. Up next, White Plains Wombats, who’s been much of a sleeper team took on the Delaware Black Foxes in New York. The Wombats scored early and often as they went on to post the victory,ten tries all up - their scorers were Thomas Stevenson (2), Jaime Abbas (2), George Reis (2), CJ Cortalano, Brock Duncan, Dylan Booth and Jack Smith. The Wombats cruised to a 60-8 victory and sealing up the third seed for the playoffs. The game of the weekend involved the Philadelphia Fight who has already qualified against the New York Knights in big need for a win. The New York Knights edged the Fight 24-20 Saturday evening at Pier 40 in New York with a late try. The Knights finished 3-3, the Fight are the second seed with a 4-2 record and the Knights with the fourth seed. Down South saw two matches as Jacksonville Axemen (5-0) continued to hang on to the number one seed and a tighter grip for the minor premiership as they defeated Southwest Copperheads (0-5) 62-10. Atlanta and Tampa met for a shot at the second and a home game in the playoffs, but the champions deemed to be too strong for Tampa as they scored nine tries to win 56-0. Brooklyn and Jacksonville are both undefeated but Axemen can win minor premiership with win next weekend, Philadelphia, NY, Boston, Delaware and White Plains are set for the North playoffs.